Fenerbahce Istanbul led from tip to buzzer en route to a 100-79 rout of Darussafaka Tekfen Istanbul on Tuesday at Ulker Sports and Event Hall. 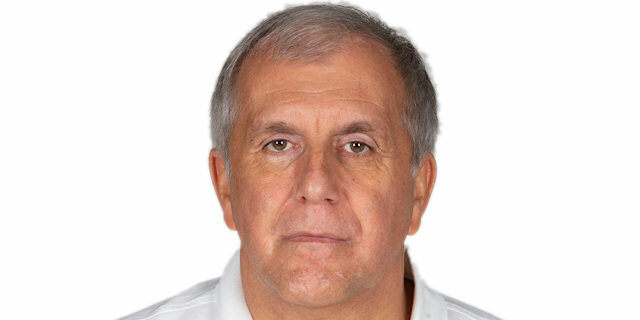 The victory was the 300th for Coach Zeljko Obradovic in all competitions since he joined Fenerbahce and it raised the club's record to 7-1, while keeping Darussafaka in a share of last place at 1-7. Team captain Melih Mahmutoglu was 3 for 4 from downtown en route to 16 points to pace the winners, who shot 45% (9 of 20) from downtown. Ali Muhammed added 15 points and Joffrey Lauvergne, Jan Vesely and Marko Guduric netted 13 apiece. Michael Eric led Darussafaka with 17 points and Ray McCallum tallied 16 points and 7 assists in defeat. Points were hard to come by early and even after Fenerbahce broke the ice through Muhammed, nearly four minutes passed before Jeremy Evans sank a triple to get Darussafaka on the scoreboard. The visitors kept it close for a few minutes and Zanis Peiners's layup made it 13-10. 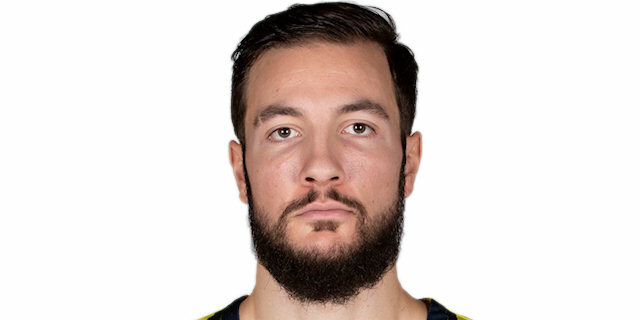 However, Fenerbahce reeled off 12 unanswered points to end the first quarter, with the first 5 coming from Muhammed and the last 4 from Lauvergne, for a 25-10 advantage. 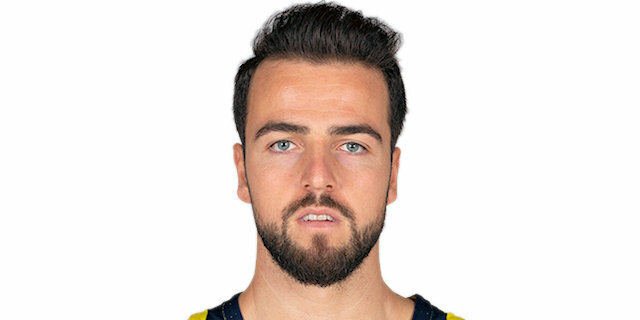 A Jon Diebler triple drew the visitors within 10 early in the second quarter only to see Mahmutoglu answer with 5 quick points for Fenerbahce. The difference stayed in the low-to-mid teens for several minutes with the teams trading shots until Ray McCallum's three-point play and Dogus Ozdemiroglu's steal and layup drew Darussafaka within 36-26. After a timeout. Mahmutoglu connected on a four-point play to keep the hosts in control. McCallum's jumper in the lane trimmed the gap to 46-37 at the break. An Oguz Savas put-back clawed the visitors to within 7 and Peiners made it 50-45 with a two-handed slam. Nicolo Melli's three-pointer helped Fenerbahce quash the Darussafaka comeback attempt and Lauvergne and Vesely kept the hosts rolling for a 68-56 advantage through three quarters. Muhammed, scoreless since the first quarter, scored the first 6 points of the fourth quarter as Fenerbahce looked to put the game out of reach. Darussafaka hung around and Kartal Ozmizrak's three-point play made it 77-68, however, Fenerbahce countered with the next 6 points and Darussafaka never got closer than 13 the rest of the way. Darussafaka was in the game in the opening minutes, even though it had never led. The visitors shook off a four-minute drought to start the game and drew within 13-10, however, Fenerbahce flexed its muscles with a 12-0 run and Darussafaka never got closer than 5 again. Ali Muhammed scored the first 5 points in the run – including the 200th three-pointer of his career. Jan Vesely added a three-point play and Joffrey Lauvergne scored with a tip-in and a jumper to make it 25-10 after 10 minutes. Melih Mahmutoglu had the second-highest scoring night of his career with 16 points on 3-of-4 three-point shooting. He did most of his damage during a seven-minute stretch in the second quarter, in which he scored 13. Twice he stemmed the Darussafaka momentum, first with 5 quick points after the visitors had rallied to 30-20 and later with a four-point play after Darussafaka again trimmed the gap to 10. The Turkish champs shot well and committed only 6 turnovers, which combined is an excellent recipe for success. Fenerbahce made 66.7% of its two-pointers (28 of 42) and 45.0% of three-pointers (9 of 20). Fenerbahce outshot Darussafaka from every range and forced the visitors into 11 turnovers. Fenerbahce heads to Israel to face another team tied for last place, Maccabi FOX Tel Aviv, on Friday, while Darussafaka stays in Istanbul for another derby, this time against red-hot Anadolu Efes. "It was very important for everybody to play because this week we have a very tough schedule; tomorrow we go to Tel Aviv and on Saturday we have an important game [in the Turkish league] against Tofas. Somethings were very good, some thing were not so good. But a good thing is how we reacted in the second half. We talked [at halftime] about a problem in defense and I believe in the second half we were better; this is the main thing. Now we turn the page and must be ready for Maccabi." "We started the game with too many turnovers and we gave Fenerbahce too many points in the first quarter, 25 to be exact, and that's whey we trailed by 15 after the first quarter. we had a really good reaction in the second quarter on defense and we scored 27 points as well, so it was a very good quarter for us. We were very equal and balanced in the third quarter against Fenerbahce, which is really good on their home court. I thought we gave a really good effort as well. We gave up 32 points in the fourth quarter... Fenerbahce plays really good for 40 minutes on their home floor, so you have to be good for 40 minutes as well and we couldn't do that. We are not on the same level to answer Fenerbahce's level of play for 40 minutes right now." "I think we played well. We kept our advantage for all the game. We played a serious game. We fought and we have to play like this against Maccabi." "First of all I want to thank our fans. Before the game we talked about how Darussafaka is a dangerous team. Okay, maybe they are not in a good position, but we respect them. We have now in front of us a very important game, Maccabi over there. Now we have to react. I hope we can win there again."